One Month Mentorship By John Thornhill My Unique Bonuses!! Here are my STRICTLY LIMITED BONUSES for buying through my link. My help and advice to create your own profitable product and a guaranteed promotion of your product to my entire list. And something I have never done before! I am granting the Resale Rights to my own successful product 12 Roads to Success which has earned me in excess of $5000. Because of the nature of the bonuses they are strictly limited to the first 25 purchases through my link. You will see no doubt all kind of silly claims about the value of bonuses. But I won’t do that; all I will say is the bonuses are really priceless when it comes to building you own business. Read my review of the One Month Mentor HERE. What Is The Easiest Way To Start A Business. Starting any business is a big step particularly if it is your first. How often have you spoken to or heard of people who have gone ahead into business without any real experience or a definite plan? They just think of an idea and do it, not many of these ventures succeed. No matter how much we research an idea, spend months planning and preparing there really is no substitute for experience. The information, insight and advice you can get from someone who has been there and done that is invaluable. I guess what I am saying here is that if you are serious about making money whether online or offline you need a mentor to show you the way. Someone who will teach you the skills you need to learn, tell you how to avoid the pitfalls. Last year I decided to look for a mentor, you see I already had a highly successful eBay business selling physical products which runs on complete autopilot. A chance remark from a friend who I helped with his now very successful eBay business set me thinking. “Why don’t you write a book and show people how they can setup their own business?” This sparked a thought, so I set to writing it but after a few weeks it had stalled, I did not have a clue how to write it or lay it out. That is when I got an e-mail from John Thornhill about the launch of his Masterclass program. I had known of John for several years and had bought a few of his eBay products. John has an enviable reputation amongst marketers for his honesty can commitment to his customers. These sorts of things go a very long way in inspiring confidence. I read Johns program outline, it was exactly what I was looking for to help me write and sell my book. I signed up for the 36 week course (which is now at week 42! with more to come). As ever John over delivered both in content and duration. Read my review of the 2009 program HERE. My dad used to say you cannot buy experience, he was wrong you can you just need to choose the righ mentor. What is the best way of building your list? Well there are many ways and the savvy marketer will have many tools in their armoury to help them do this. One of them is the free giveaway events, its premise is very simple you add a free gift to the event organisers website, in return for an optin to your list you offer a free gift of (and this is important) value to your subscriber. The great part of this apart from list building is the information that you can download as much free stuff as you wish in exchange for signing up to the contributors list. In my last blog post I mentioned 2 of these events; the first one went live yesterday the 5th Jan. So what is it like? Well I have been massively impressed with the number of gifts on offer nearly 500 at the time of writing, but the most impressive part has been the sheer quality of the gifts on offer. Yes I admit it I have downloaded a fair few of these; I can see where I can use some of this information to expand my own business and improve my websites. Its not too late to contribute a gift to the event, but hurry as it closes on Tuesday Jan 19th click the banner to find out more about the event. If you think that you cannot get a gift ready in time then there is also the Naked Giveaway event which runs from Jan 11th until Jan 25th. Get in early and setup your own gift. Even though the gift you offer is free offer excellent value. I am offering my own directory of wholesale sources that I use to source stock for my own eBay/Amazon business. Click the banner to find out more. Last week I launched Plugin Auction Profits, this week I am giving away a free report based on the full product. It is a 20 page no fluff, no padding no filler report. A step by step outline for trading on eBay, Amazon and beyond. You may do whatever you like with the report, you can sell it on eBay (or anywhere else) and keep 100% of the profits for yourself, you can give it away, and you can include it on membership sites you can give it away as a bonus. All I ask is the content remains unchanged. Better still you can rebrand the report so that you receive a massive 50% commission on all sales of the full product made through the links in your rebranded copy of the report. I have provided all the tools you will need to rebrand and sell it, I have provided the rebranding tool, and the instruction on how to do it (drag and drop your copy of the report into the rebranding window and enter your clickbank ID). There is a copy of the graphics as well as sales copy and e-mails to help you on your way. You can get a clickbank ID by clicking HERE. Plugin Auction Profits, my first information product is live on clickbank. I gained approval late on Friday evening, made my payment on Saturday morning. It takes about 24 hours to go live. The product consists of 3 Modules (over 120 pages), a ride along workbook, A Secret Sources Revealed e-Book which gives a comprehensive list of suppliers that the Powersellers use to buy their stock. These are the suppliers I use in my own business. The simple strategy that will explode your sales, 99% of eBayers fail to use this simple method. There are 19 step by step videos that cover selling on eBay, Amazon and sourcing stock for resale, plus an audio interview with a Powerseller all for an introductory price of $27. I am also offering free updates for life. I will have available later in the week a 20 page special report; this will be available FREE to my subscribers. You can sell it, give it away, include it in membership sites anything as long as its content remains unchanged. Look for my email later this week. One of the things that John Thornhill has emphasised time and time again is to offer incredible value. Now I don’t really know how his students on the 16 week course managed to keep up because I am about 8 weeks behind already. Ok, let’s add some value….. Record an audio, so I ordered two headsets with microphones and an adapter to use them both at the same time, did some test recordings using sound recorder, worked like a dream. So the morning of the big recording I asked my friend who is a fledgling eBayer to draw up some questions and we would record the interview, straight forward. Did it work? Did it hell, took me a full 30 mins to work out the problem, I had downloaded the 30 day version of Camtasia video recording and editing software the previous night to try it out. The consequences of that, well Camtasia becomes the default recorder for audio, quite what happens when the 30 day trial expires I do not know. Anyway recorded the interview which sounds a bit contrived to start with but becomes a two way conversation as it progresses and not my usual monolog. Audio sorted! Let’s do some video, after quite a few test recordings I started to do my Amazon series first, 3 or 4 minutes at a time showing how to setup a selling account in market place and how to list books and other items. So here we go, the last and longest, everything going great, phone goes while recording, its FedEx, “listen mush stump up the VAT now or you don’t get your order”, “but I’m just about to list The Geology of Scotland”. “Just hand the wonga over”. Start again, 6 mins in take coughing fit. Take 3, going great guns… Beep,beep,beep car alarm goes off, scrap it again. Hoping to get it done later, maybe I can book myself into a padded cell away from all distractions. p.s. Q. Hey Rob, why do so many e-mails use such silly names for money in there titles or content or use F.wee or variations of the word free? A. Its all to do with spam content, all spam filters try to weed out spam by looking for e-mail with a high spamming text, these contain amongst them, money words or “free” as these are used so often by spammers The content of this e-letter is checked by AWeber my e-mail company for its spam content before I can send it. Masterclass Week 25,26 or 27…. Lots still to do of course, I am the moment collecting testimonials. I have one from a work colleague who has just recently become a Powerseller, well done Paul! I told you it was possible. I have also received some amazing testimonials from Steve King and Andres Luna, thanks guys your comments have really given me a buzz. I have also been fortunate to have had my manuscripts proof read by Mandy Allen and my brother Peter who have made many valuable suggestions for improvements, thanks to both of these good people. I have also been privileged to have read the manuscripts of other Masterclass students. Tom Aspin and Ann O’Leary who are both in the fields of health and well being and show the real importance of a common sense approach written by practitioners in their own field. 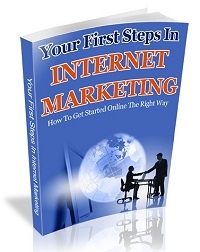 I have also reviewed Steve Wilkins book on making money from PLR materials. Again a straight forward common sense approach to the subject, no waffle, no smoke and no mirrors. Steve has included an excellent workbook as part of his package. But what I liked best is the grid Steve uses to determine what you can or more importantly can’t do with each PLR product as each one has a different licensing agreement. Oh and by the way I even managed to find the time to go over to Leeds and spend the day in Harrogate with my twin nephews and my baby niece. So back home sitting in the beer garden of The Crofters. Hey Rob, want another beer! Sure do I think I’ve earned it. After a monumental struggle I have finished, almost (why does there always seem to be an almost?). I have finished work for six weeks and returned to my office Dr. Duncan’s public house in Liverpool to complete the long hand version of my e-book. Away from all the distractions of home and the endless series of 5 minute jobs to do whilst I am doing nothing that make up the vast majority of the days. No interruptions, from anyone apart from the Everton fan who wanted to discuss the past glories of Everton whenever they were! However, he did the honourable thing and did one when he found out I was a red. Oh, just realised that I need to do another series of screen grabs before the draft is finished. Oh hum, think I was too ambitious on this my first product and should have stuck to something shorter, but quite proud of what I have achieved so far. I really never thought I could finish this, I hope this provides some encouragement for all those other students (like myself) who have fallen behind, that you can do it. Remember why we all decided to do this in the first place to make a better future for ourselves and our loved ones. Stick in there people! I must admit that until this year that I had doubts about the quality of “information products” on sale over the internet. Lots of poor quality e-books with poor quality information. In my earlier posts I evaluated the quality of some of the “make money on eBay” products for sale on the site itself. I paid 99p for the cheapest offering and got 99p worth of value. I also paid the princely sum of £4.95 for the most expensive this was worth about 99p. It was years out of date (2003). Think of it from the point of view of the buyer, so you don’t always get what you pay for! This week I have had the privilege of reading two e-books that are nearing completion from other masterclass student. The experience could not have been more different, these books were packed and I do mean packed with quality information. Both were well written, well researched, easy to follow and superbly presented. Quality work up to the minute, and targeted at two different niche markets. Although I had changed my mind about Information Products some months ago this was a Damascene moment for me. The ability to make something so current and so quickly make changes to keep it up to date sell this for me as the way to go. I will be giving my feedback to these two gentlemen privately but would just like to say well guys if you reading this. Hi Guys, have noticed that over the past few weeks that I have been visiting other student’s blogs less frequently than before. I guess with all the product development going on there has been less time available for doing it. I have decided that I will try to visit a few each day, there is some fantastic content and resources on these blogs. I cannot believe the amount of knowledge I have gained just from reading them. I have also gained so much confidence in dealing with technical aspects of the internet. There is always someone with the know how willing to help out. It is most appreciated. The opportunities to help forge partnerships and joint ventures are endless. I will also be posting this on the masterclass forum. How about subscribing to the blogs that interest you? Or just the ones associated with your own product development. I have subscribed to a few students blogs and have found the content excellent. I hope in return that my subscribers have found my content interesting. Also take a look at Ken Alston masterclass community at http://masterclass.ning.com super stuff, why not drop by and give it a look? Think of all the opportunities we now have to network with other students? Would this have happened this quickly or at all if we had not joined the masterclass?